VEHICLE CRASH? GET TO IT. DO NOT WAIT. The insurance companies are trying to get in touch with you to take your recorded statement from a script designed to steer the recorded statement their direction. The insurance companies are trying to get in touch with witnesses to steer their responses in the insurance company’s favor. Evidence at the scene is disappearing. If your vehicle is damaged it can be altered or removed before it is properly documented. You may be contacted by personal injury attorneys. 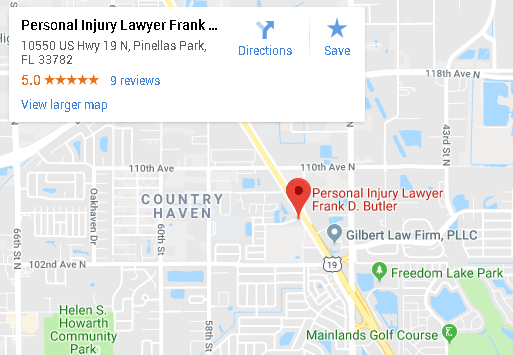 It is both illegal and against Florida Bar Rules for an attorney—or anyone acting for them—to contact you within the first 30 days after a crash. Consider this about any attorney who contacts you before the 30 days. So the bottom line is to get someone working for you just as soon as the insurance company is working against you. If you wait, valuable evidence in your case can be lost. When you come to our firm—or we come to you if you need—we begin working on your case immediately. You are not assigned a number at our firm. We represent people. We do not represent case files.